SpyAgent invisibly logs everything users do. 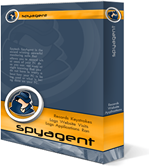 Our most popular and award-winning spy software for over 19 years, SpyAgent's unmatched feature-set invisibly monitors all computer usage and internet activity. 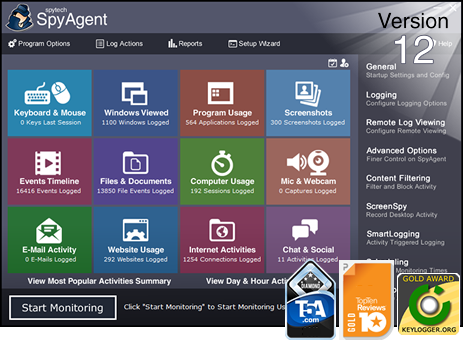 Combining over 20 powerful computer monitoring tools with remote activity log viewing, instant behavior alert notifications and filtering, and graphical "top 10" reports, SpyAgent allows you to record, see, and respond to everything that happens on your computer. Put your worries to rest today with SpyAgent! Monitor from Anywhere with Realtime-Spy. 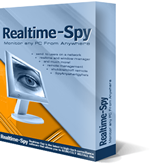 Remotely installable cloud-based computer monitoring software, Realtime-Spy gives you the ability to monitor your PC or MAC from ANYWHERE. Realtime-Spy's robust monitoring features allow you to see what users are doing and typing in real-time from any web-browser. Realtime-Spy captures screenshots of user activity and records keystrokes, websites and applications, chats and emails, file system usage, and much more. Graphical Top 10 reports summarize popular activities. NetVizor monitors your entire network. NetVizor can be remotely deployed across your network from a central location, allowing you to see and record everything that employees do, perform remote administration tasks, view what users are doing in real-time, and generate comprehensive network activity reports. NetVizor can protect your network assets by alerting you in real-time when users modify files, move computers, transmit data to other locations, or even when they use a portable drive. Cloud-based computer monitoring and access control with SentryPC. 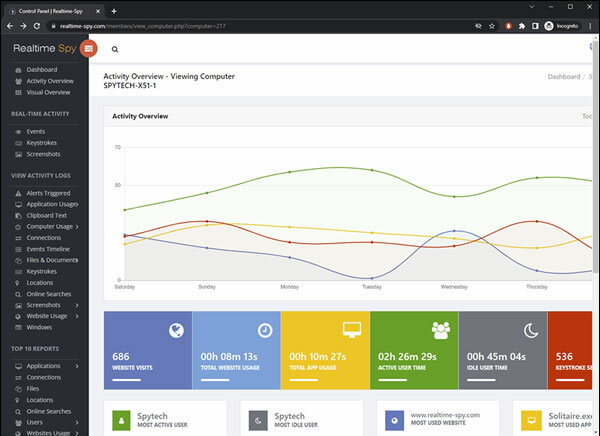 SentryPC is a robust cloud-based security solution that combines real-time comprehensive remote computer monitoring, flexible time management and access control, application and website content filtering, activity logging, behavior activity alerts, and graphical computer usage reports into one easy-to-install software package. With SentryPC you can remotely monitor and control what your children or employees are doing at all times from any location via your web-browser. Now you have the power to record EVERYTHING they do! Learn What Your Child or Employee Does On Your Computer Today! Spytech Realtime-Spy is the latest in cutting-edge cloud-based remote spy software monitoring technology that allows you to monitor ANY PC, Mac, or Android you own from ANYWHERE. Realtime-Spy for your PC and Mac computer is remotely installable (no physical installation needed), and its activity logs are accessible from anywhere - regardless if the remote PC or Mac is online or not. Realtime-Spy logs keystrokes, websites visited, applications ran, e-mail activity, chat conversations, screenshots, and more - in complete stealth. Realtime-Spy can also show you what users are doing, and typing, in real-time. Realtime-Spy is available for Windows, Mac OS, and Android! SpyAgent sets the bar with its award-winning, computer monitoring that creates the ultimate all-in-one spy software. Spytech SpyAgent logs everything users do: all keystrokes, emails, applications used, windows, websites visited, internet connections, passwords, chat conversations, and even screenshots. SpyAgent runs in total stealth, defeats popular spyware detectors, and provides website, chat, and application blocking abilities. Perfect for monitoring others who use your computer - children, spouses, employees, or guests! 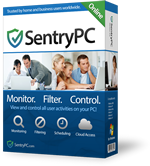 SentryPC enables you to control, restrict and monitor access and usage of your PC from anywhere. You can control how long and when users are allowed to use the computer, prevent the use of specific programs, block access to certain websites, restrict access to Windows functions and more. In addition to access control, the program can also record all activities, including keystrokes, website visits, applications ran, chats, screenshots, and more. All logged activities are viewable in real-time from anywhere via your online cloud account. 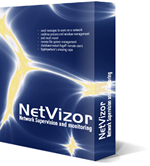 NetVizor is the latest in centralized network and employee monitoring software that can invisibly monitor your entire network from one centralized location! 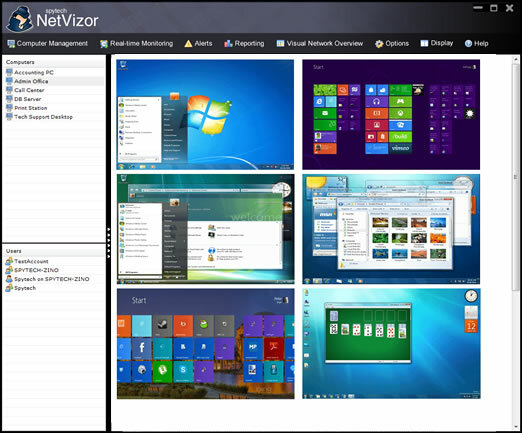 NetVizor allows you to track workstations and employees that may use multiple PC's on a network, and can be rolled out from one location via its remote installer. NetVizor records everything employees do, including screenshots, keystrokes typed, application and website usage, email and chat activity, file and document usage, and much more. Detailed activity reports can be generated to summarize and breakdown what is happening on your network. NetVizor can also show you what everyone is doing on your network in real-time with a single mouse click via its visual network overview and real-time activity ticker. 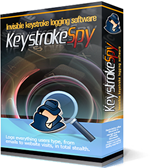 Keystroke Spy is an efficient monitoring solution and keylogger that allows you to easily, and efficiently log what your computer users are doing. Keystroke Spy is a powerful tool that can log every keystroke users type and capture screenshots of everything they do. Keystroke Spy can run in total stealth, deliver logs via email, email you when specific keywords are typed, and can even be set to only log keystrokes typed in specific applications and windows. Keystroke Spy will show you what users are doing on your computer. 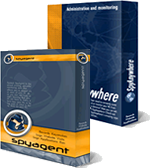 Our Spy Suite combines SpyAgent and SpyAnywhere - two award winning computer spy software tools - into one package to create a powerful remote spy and remote control solution. View all user activity logs remotely that SpyAgent creates, while being able to remotely control the monitored computer via your web-browser. The Spy Suite creates the ideal tool for remote and local computer monitoring, content filtering, and administration. From localized computer monitoring solutions with optional remote monitoring, to cloud-based 'spy from anywhere' solutions, Spytech has a solution for your monitoring needs. "I need to access my monitored computer to view logs, and receive reports via email." "I need to monitor my computer from anywhere, at any time." "I need a centralized on-premises or cloud-based solution to monitor my network computers." Spytech has earned hundreds of awards from software review and download websites. Spytech is a proven performer. Spytech Software and Design, Inc. has been developing and perfecting its software since 1998. While competitors are scrambling to match our software, we have already been on the market for years - testing and further refining our software to ensure our customers always get the top-of-the-line product. Years of listening to customer feedback and refinement has made our software into world-class security solutions that parents, families, schools, institutions, and corporations benefit from. We will help you if you have any problems! Should you have any questions or troubles with our software, Spytech is here to help you. Our 24/7 helpdesk can solve any technical problem you are having, as well as schedule remote assistance so we can quickly connect to your computer and set things up for you and ensure everything is working properly. Spyware vs. Spy Software - what is the difference? By now, you have probably read news articles about spyware and how its plaguing internet users. Many times spy software is confused with being the same thing as "spyware", which could not be farther from the truth. We would like to clear up this confusion between the two terms. Click here to read about the differences between our Spy Software and "spyware".